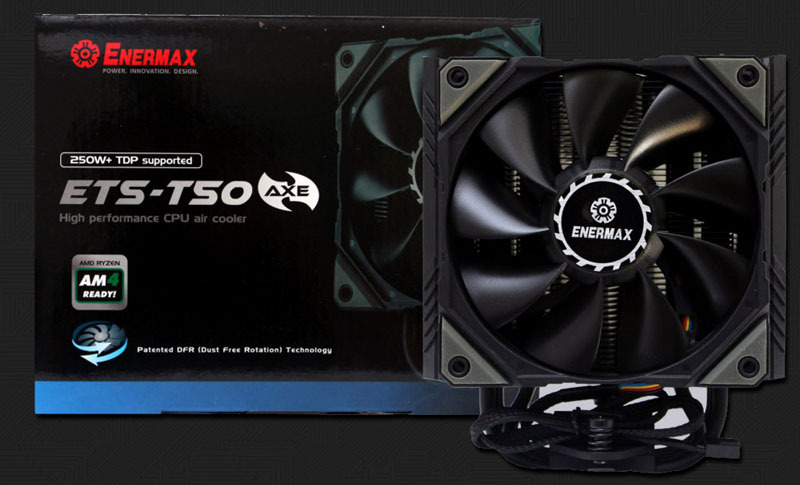 The Enermax ETS-T50 AXE CPU air cooler is on the test bench at OCInside today. Enermax presents its new tower cooler ETS-T50 AXE. What the cooler has to do with an axe or a deodorant, we can not say. But how good the cooler in our Intel test system works, we will show on the next pages in the detailed Enermax ETS-T50A-DFP test with D.F. Pressure fans.